On 19 March Radio Sweden’s youthful channel (P3) interviewed part of the student satellite project team. 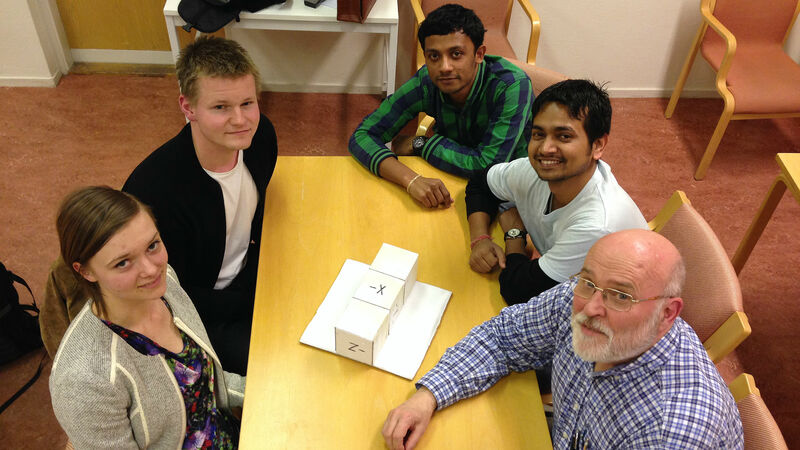 From left to right: Agnes, Andreas, Sharan, Manish, and the project manager Sven Grahn. This will be broadcast on Monday 30 March in the channel’s news broadcasts. The Indian students were of course interviewed in English while the Swedes spoke Swedish in the interview). The cardboard model of the satellite with coordinate axes marked is on the table. If and when a web link to the audio is available it will be published here.